Whilst we check your brake fluid boiling point in every service, we recommend that your brake fluid is changed every 2 years. We will completely bleed your brake system through and refresh with the higher spec Dot 5.1 brake fluid. 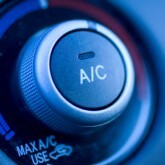 Full Air-Con Service and Re-Fresh £70. Straight (no frills) Re-Gas £40. Nitrogen Leak Testing From £30. 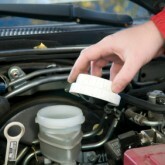 We can read the diagnostic systems on most makes and models of cars on the road today. We charge a flat rate of £20 +vat for basic fault code reading & where possible fault lights can be reset. If we cannot read your car we will not charge you! Free tyre condition check and report. We supply and fit all of the major brands of tyres at competitive prices, ranging from Bridgestone, Goodyear, Pirelli, Firestone, Evergreen and Goodride. With tyres to suit all budgets. Free exhaust condition check and report. We stock a wide range of batteries, wiper blades and bulbs. All of these items are fitted Free of charge to most vehicles. 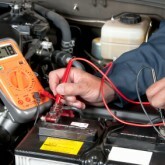 Free battery test on all cars. 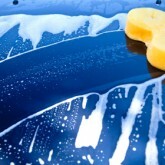 Please call us on 01603 870 814 for a free estimate. 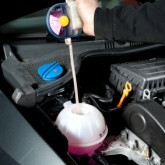 The correct antifreeze mix in a clean system will provide maximum cooling efficiency for your engine. 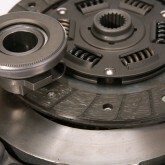 A healthy cooling system can seriously prolong the life of an engine and its head gasket. We will carry out a full system drain down and re fresh with new coolant. – All prices are subject to VAT.